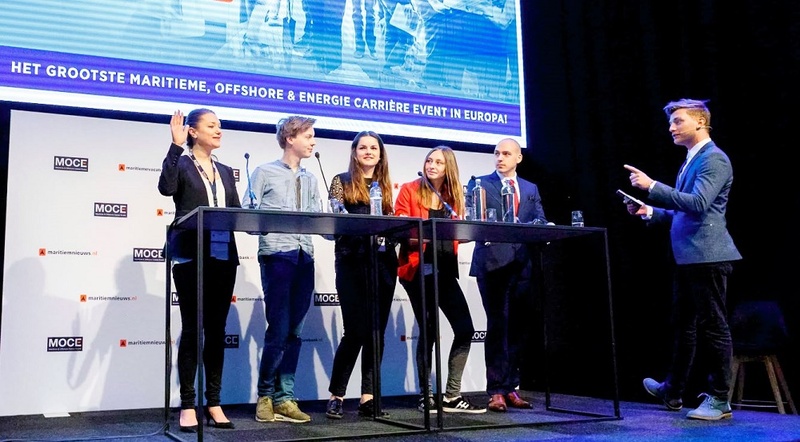 Besides visiting the extensive exhibition floor where vacancies of more than 100 companies from the maritime, offshore and energy sector can be discovered, there’s lots of opportunities to gain knowledge during the Navingo Career Event. This is important, because innovations in the sector follow one another rapidly. But what do these developments mean for career perspectives? At Community Square, these themes are discussed. Experts talk to each other and the audience during each talkshow to about several themes that will radically change the industry in the upcoming years. Community Square is kicked off with the first talkshow ‘The reality of sustainability’. Sustainable entrepreneuring is no longer something only idealists do. Regulations and the market force companies to make greener choices. To which extent do old thinking patterns have to be unlearned, and is a new generation necessary to make any real changes? Does the current education system sufficiently connect to this? And how important is the sustainable image of a company for recruiting talent? Another theme that almost each company encounters, is digitalization. Together with Microsoft, the talkshow ‘ Digital Transformation’ is presented. What does the Internet of Things mean for the maritime sector? And do these developments influence the kind of jobs that will be offered? Eric van Uum, Technical Specialist within Microsoft’s World Wide Black Belt Team for IoT (Internet of Things) takes us with him and gives us a sneak peek into the future. Besides attending the talkshows, visitors can also gain knowledge at the workshops and case studies organized by top companies. Besides that, presentations can be seen at ‘The Stage’. Several professionals from various disciplines tread the stage to talk about their day to day activities and what it means to work in this adventurous sector.